The international launch of landmark management software, developed by a team led by well-known businessman Niels Andersen, kicks off in East London yesterday. Together with fellow engineer Aubrey Bahula and enterprise architect Dave Sokolich, the product is fast-gaining traction in South Africa with plans underway to build global partners. The software, newly-developed for the web, has an impressive incubation track record with the product having already being implemented at 100-year old JSE-listed York Timber in Nelspruit, one of the country’s foremost timber companies in South Africa, as well as engineering firm Fabkomp in King William’s Town. 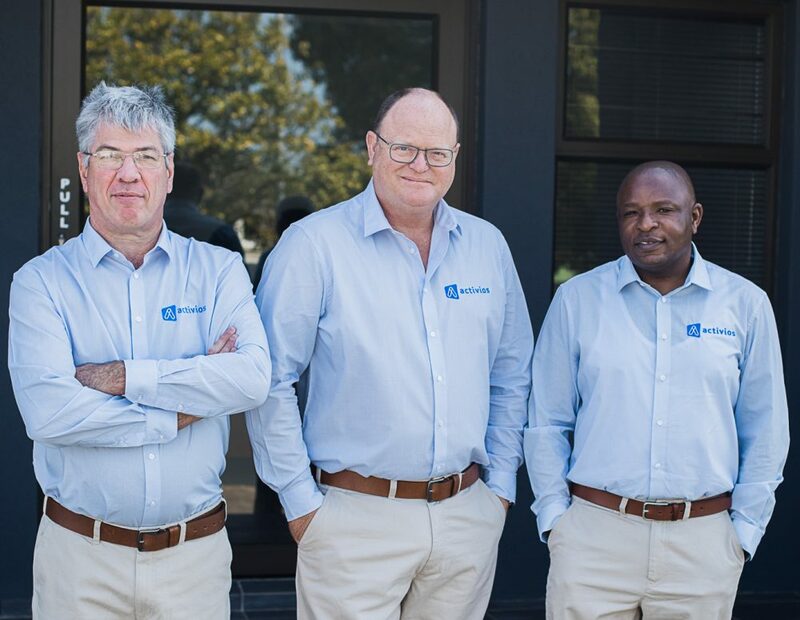 Its latest site is at the Port Elizabeth-based Tier 2 automotive supplier, Formex Industries, whose ambitious expansion plans are already underway. Andersen says Activios is principally transformation solution software that enables management to manage across an organisation while at the same time measuring tiered company scorecards. “However,” he says, “it is so much more than that. It is an enabler of a high-performance leadership culture and style that is founded on values of respect, transparency, performance, integrity and accountability. The transparent nature of the software allows for results in improved understanding for employees which, in turn, influences their behaviour to understand better and more effectively execute business strategy. The result is a winning culture which is more sustainable in the long-term and acts as a catalyst for innovation. He quotes the latest Gallup research which gives some perturbing insight into how companies are suffering because of their disconnected workforce. Gallup estimates that about 85% of employees are disengaged at work with losses in productivity estimated at R105 trillion. What’s more, 70% of companies who have a well-formulated business strategy fail due to poor execution. There is still more bad news. Only 2% of leaders are confident they will achieve over 80% of their strategic objectives. Only 55% of organisations achieve less than 50% of their strategic objectives. Lastly, a staggering 95% of employees do not understand their organisation’s strategy. According to Gallup, there is an upside for businesses that commit to building a winning culture. Gallup lists five benefits: a 22% improvement in profitability, 37% less absenteeism, 21% more productivity, 41% fewer quality defects and significantly lower staff turnover. Andersen explains that the system allows organisations to communicate and implement the strategy in a way that is integrated with the business’s various functions, operational, compliance and operating systems with the required frequency. Andersen is clear on the role of the software, which is based on a methodology and systems thinking that he has experienced globally as a consultant in operational excellence. It does so by allowing for easy communication, recording, tracking and management of projects and important activities. The software, which can be Cloud-based, is optimally configured for a business following a five-step process of business mapping, configuration, implementation followed by support and enhancements. Sub-Saharan African Activios principal, Aubrey Bahula, says the software comes alongside management to help create an environment for success. “The 4th Industrial Revolution has begun,” says Bahula. “Industry is becoming increasingly digitised … the production, processing, assimilation and access of operational data, which until now has required manual interpretation and reaction to disparate dashboards and reporting platforms, will soon be driven by real-time, integrated, accurate to a fault, and transparent information portals and dashboards that give early adopters the competitive edge.